Happy Monday! The weather in NYC has been beautiful since late last week and I am honestly loving it. I’m trying to soak up every minute of it before I leave to Miami tomorrow. I wanted to share this bell sleeve sweater with you because I am honestly obsessed with it! It’s so soft (I wish you could touch it through the screen) and is only $39. It also comes in a gorgeous blush color but I wanted to get the ivory since basically 60% of my closet is blush. I don’t know what it is but I’ve been so obsessed with bell sleeves lately! I think they add such a fun tough to an otherwise normal outfit. As for the sizing of this top, I would recommend sizing up. I’m wearing a medium! It would also look super cute with high-waisted jeans since it isn’t a super long top. I paired it with this utility vest that I have had for over a year now. Unfortunately, this exact one isn’t in stock anymore (it’s old!) but I’ve selected some of my favorites for you to shop below. 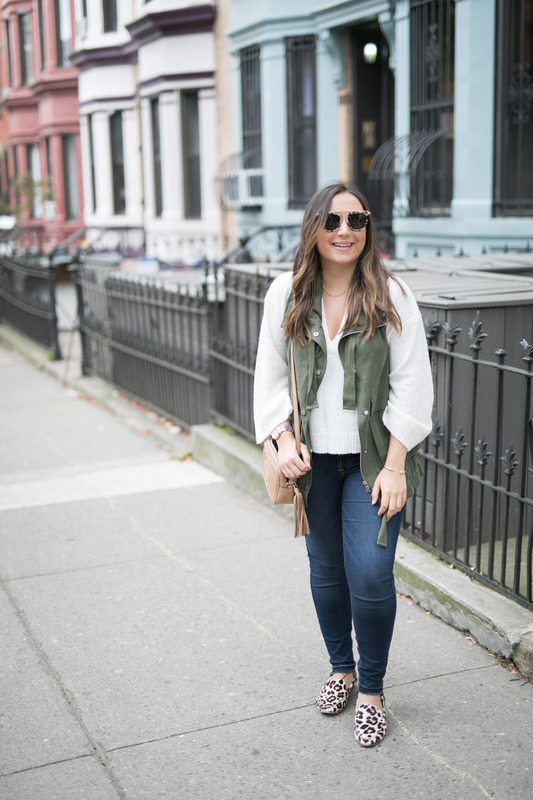 I always like to have at least 2 utility vests in my closet because I find them so easy to pair and style. Olive is one of my favorite colors to wear and I love the way they just really “step up” your look. I had no idea what to wear over this sweater but knew I wanted to wear something over it. The second I threw this utility vest on, I was sold. I think if I had to pick one essential for fall it would be a utility vest and a great pair of jeans. And, speaking of jeans, I have to wash these like twice a week because I wear them SO much!! I absolutely love them and they were worth every penny. 7fam is one of my favorite jeans brands and these do not disappoint. This pair is currently 25% off so if you’re looking for a new pair of great jeans, get these! I hope you all have a great Monday! Let’s make this a great week. 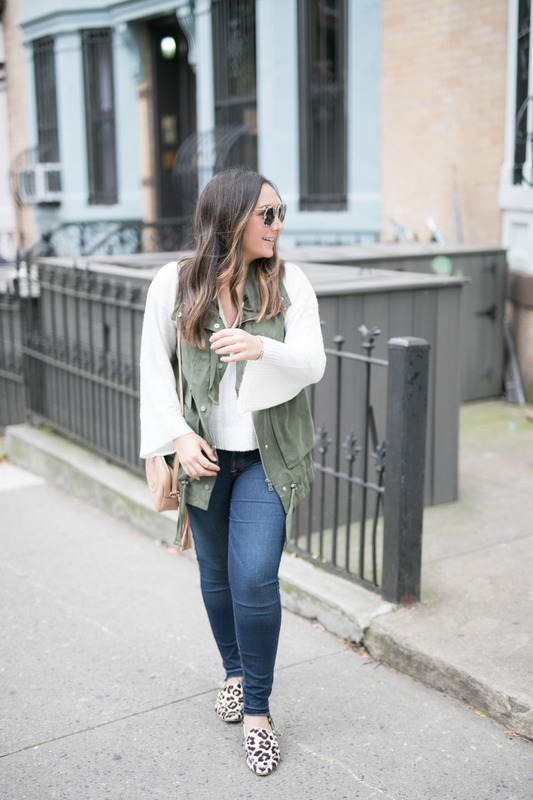 See below for my favorite utility vests and bell sleeve tops! Animal prints are made for you!! Loving those flats, especially with that vest. This sweater is so pretty and I LOVE those sunnies and your leopard slides! Safe travels back to Miami! Oh yes that sweater is perfection. I love bell sleeves as long as they aren’t too long on me. What a fun top and I’m in love with those shoes!! I’m legit a bell sleeve fanatic, so this sweater is seriously speaking to me. 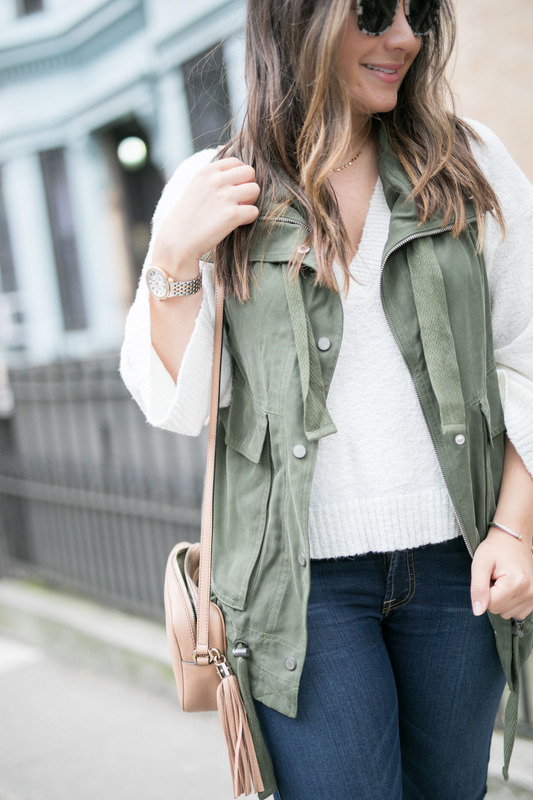 I can’t get enough of the gorgeous knit texture and your layering is on point with the utility vest. Oooh and those leopard shoes? Yes please! Love it all, girlfriend! I need a utility vest like this! 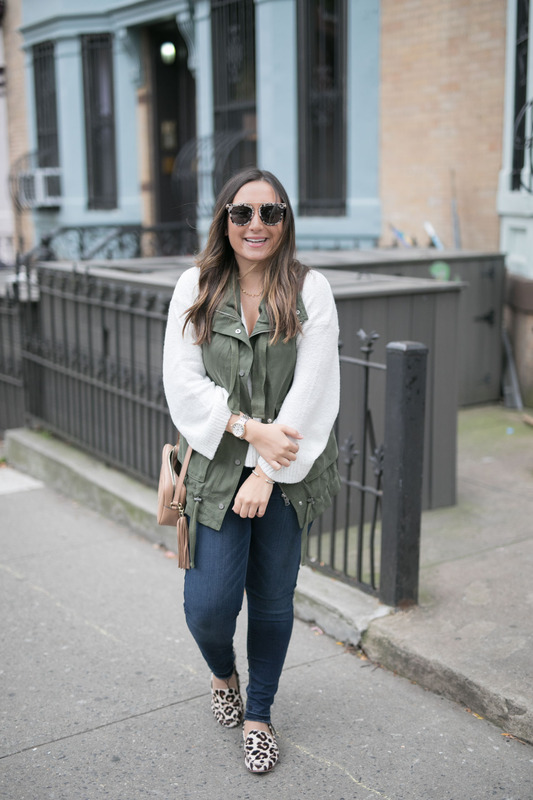 Such a good piece for fall! This sweater looks so cozy! Love it paired with that utility vest! That sweater is so pretty! I love the sleeves! 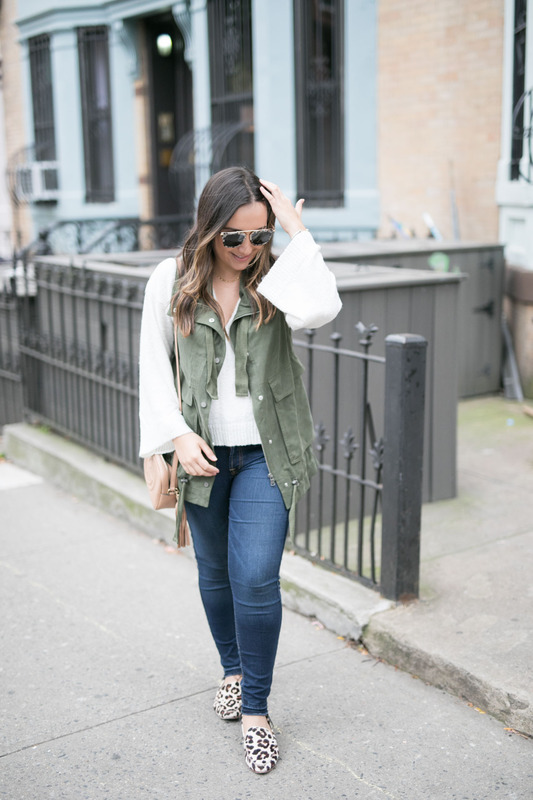 Love this utility vest on you! So cute babe!